The mission of Sacred Heart Major Seminary’s Fishermen’s Fund is simple yet vital: To ensure that no vocation—no calling from God—is hindered due to financial need. Some Sacred Heart Major Seminary students cannot fulfill their vocations to the Roman Catholic priesthood, the permanent diaconate, or lay ecclesial ministry because of a lack of funds or past educational debt. These financial hurdles could result in less vocations to serve the many needs of the faithful throughout the Archdiocese of Detroit and beyond. Since the Fund’s founding in 2005, 409 Sacred Heart students have been blessed with scholarships from The Fishermen’s Fund. 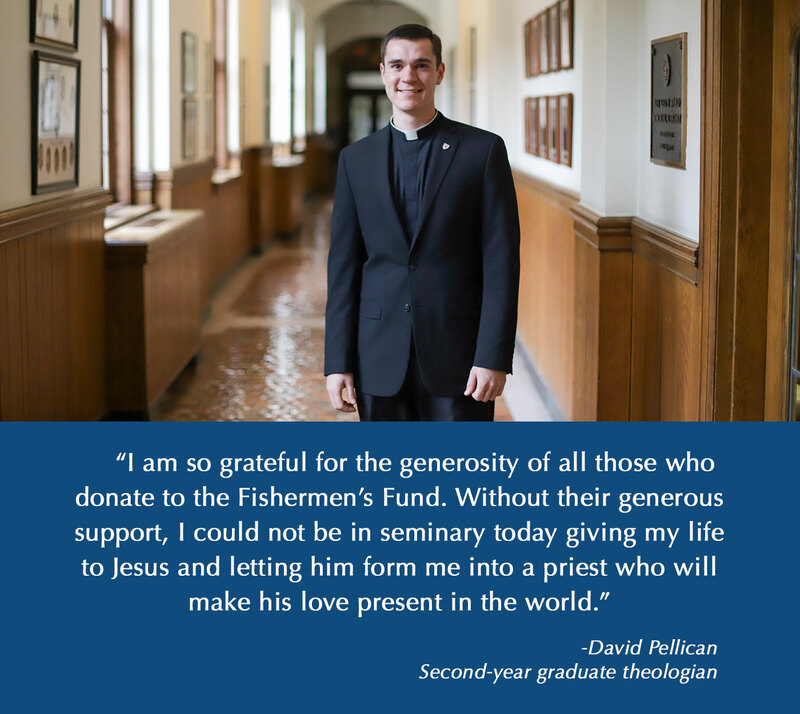 The Fund “casts a net” of support for our deserving students, the future fishermen and women of souls. A Sacred Heart undergraduate seminarian often assumes thousands of dollars of personal debt to pay for up to four years of schooling and formation prior to entering the seminary’s Graduate School of Theology. A seminarian’s total debt could be over $100,000. His undergraduate education is not paid for by the archdiocese. Sacred Heart diaconate candidates and lay ministry students often assume the burden of debt, as well, to prepare for their vocations of service. Approximately eighty percent of Sacred Heart students are in need of some form of financial aid.